Since 1989, TJ Monte Productions has been Southeastern Michigan’s most innovative, creative and technically advanced Disc Jockey Service. Now we have become the area’s largest company that provides all your entertainment, lighting and design needs for your event. The possibilities are endless. Our goal is to provide you with the essential needs to make your special day, SIMPLY THE BEST! Timothy J. Montemayor, who is also known as “TJ Monte,” is the Entertainment Director at Crystal Gardens in Southgate, Michigan. TJ Monte Productions donates their services to community events in the Detroit area such as Relay for Life, The DJ Battle for Autism and Toys for Tots. 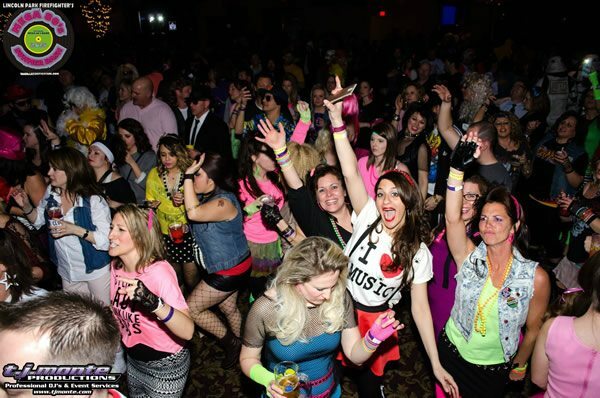 Our company has serviced some of the largest events in the Metro Detroit area including the Mega 80’s Bash, The Free Press Fun Run, The Detroit Fireworks, The Trenton Street Fair, Roar on the River and the New Year’s Eve Gala at Crystal Gardens in Southgate. TJ Monte Productions is based in Michigan but has provided services in Ohio, Indiana, Tennessee, Pennsylvania and more. Travel expenses are added into our packages. Some of our current clients include Beltone Hearing, Chelsea’s Menswear, Dearborn Heights Police Department, EnerGy National Dance Competitions, First Financial, Flat Rock Speedway, Ford Motor Company, Grekin Skin Institute, Henry Ford Hospital, Lincoln Park Fire Department, Livingston International, Milan Dragway, Premiere Reality, Studio G Performing Arts Center, Target Steel, Tittle Construction, Trenton Fire Department, Truth Detroit, Willow Tree and the school districts of Gibraltar, Grosse Ile, Huron Township, Trenton and Wyandotte. TJ Monte Productions has always been and always will be LGBT friendly!